If you’re mum is a globe-trotting extraordinaire and always setting off to new and exotic destinations, this Mother’s Day we’ve got you covered. Discover out gift guide to guarantee you give your mum the world this Mother’s Day – or at least all the travel supplies she needs to help her see it! Who better to impress your mum than little ol’ us! We’ve got a Special Mother’s Day Subscription on offer, where you could save a huge 49% off the magazines that give endless travel inspirations to all the adventure lovers out there! Get a subscription for EITHER International Traveller or Australian Traveller for 1 year (4 issues) for $22.95. Use the code: MUM2019 and save 42% off the cover price. For that little bit extra, get a bundle subscription for BOTH International Traveller and Australian Traveller – 1 year subscription (8 issues – 4 for each title) for $39.95. Use the code: MUM2019BUNDLE and save 49% off the cover price. If you’ve frequented any airport in the last few years, you’ll know that monogrammed travel accessories are all the rage in the travel world. And after scrolling The Daily Edited website, it’s pretty easy to see why. From leather passport holders to an inscribed phone case, give your Mum the gift she’ll never lose. And maybe even pick up something for yourself? Travelling is amazing for the soul, but can sometimes it falter in keeping your skin happy and healthy. Go-To’s skincare is the antidote to the times that jetlag is just written all over your face. Zincredible SPF 15 is the hydrating moisturizer that provides a much needed UV barrier for those who chase the sun, with the compact bottle small enough to be allowed in a carry on. If you want something even more special, they also have gift sets, giving Mum a taste of all of their best products. Every travelling woman needs that one failsafe bag that holds everything they need. Whether it be for a weekend away or an overseas trip, Ecosusi have created a durable, nylon waterproof duffle bag with secure double top handles. Perfect for any woman on the go. Long flights and late nights come with the territory of travelling, but the eye bags that come with it are a downfall that can be prevented. Invest in Estee Lauder’s Advance Night repair Concentrated Eye Mask as a gift for your mum to take with her on her travels. The eye mask is infused with ingredients that sooth and hydrate the eyes, and the Advanced Night Repair technology will leave your mum feeling rejuvenated and fresh faced. If your mum isn’t a fan of the oversized bag, Vivra bum bags are the best functional solution on the market. The patented, magnetic, bi-fold design makes for a belt and bounce free bag, removing the need for a traditional belt or strap. Pick from an array of colours and designs to find the perfect bum bag to suit your mum’s style. For the more creative of mothers, give her a way that she can chronicle her adventures into the pages of a beautiful journal. 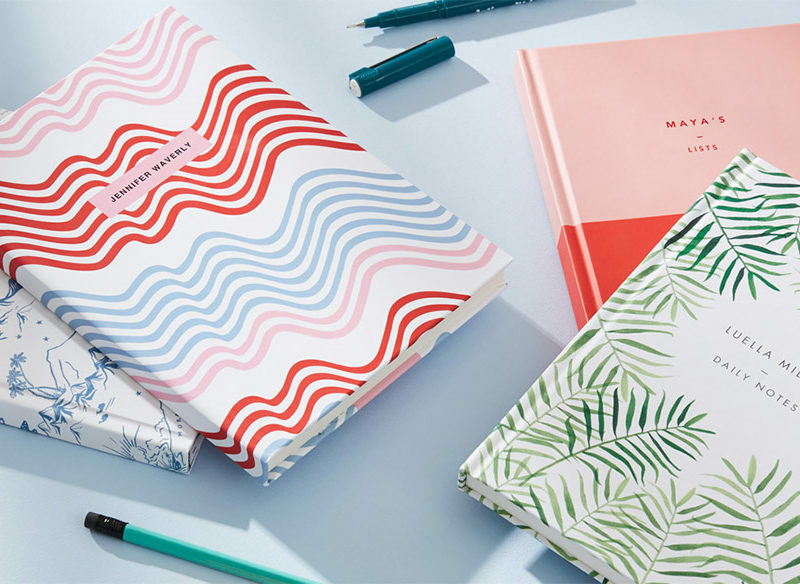 Papier have a stunning range of diaries and notebooks, all vibrantly designed and filled with empty pages ready for her to fill with the tales of all her experiences. Slim in size, it’s the perfect addition that won’t take up much room, easy for your mum to carry around with her wherever she goes. Not only practical, but also eco-friendly too, your mum will appreciate a stylish steel insulated water bottle from The Townsfolk. 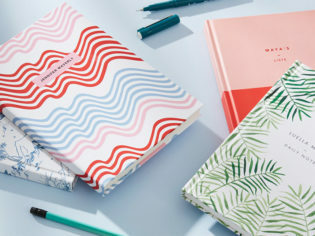 Their products have a real summer vibe to them, which is fitting for their strong stance on advocating sustainable hydration. The bottles are minimalist in style, yet are advanced in functionality, keeping drinks cold for 24 hours, and hot for 12. It’s the perfect gift for someone who’s all about that on the go hydration, yet still wants to travel in a more sustainable manner. Now who says it’s too hard to be greener on your travels? For those long layovers, or bus rides, make sure she always has something enthralling to read.